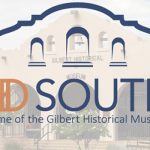 Originally opened as Gilbert Elementary School in 1913, HD SOUTH is the oldest building still standing in Gilbert and is the only one on the National Register of Historic Places. The Gilbert Historic Society had been meeting since 1960 and was incorporated in 1979 but had no official building to call their own. When the school closed in 1977 and the building became available, the historical society leased it from Gilbert Public Schools and opened the historical museum in 1982. Then in 1985, through the generous donation of Otto and Edna Neely, the Society purchased the building and the land. The museum was volunteer operated until 2005 when Kayla Kolar was hired as the first executive director. Over the next several years, the museum made great strides to become one of Arizona’s premier community history museums. In 2010, the Society began searching for a new direction that would sustain them over time. The staff and board of directors held many strategic planning sessions and conducted many meetings with community stakeholders. 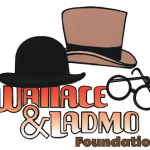 With over 37% of Gilbert under the age of 19 and almost 25% over 50, a new programming model called Communities for All Ages (CFAA) seemed to fit this community. CFAA is an intergenerational model where the generations can learn and grow together. The programs and events at HD SOUTH are designed for all generations. You can read more about CFAA here. Realizing the lack of arts and culture in Gilbert, the Board of Directors expanded the mission of the organization in 2016 to include more than just history. 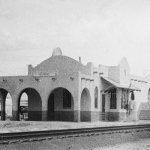 While the Society will always preserve and showcase the history of Gilbert, the decision was made to begin the transformation into an arts and culture center. We envision communities where all generations know, trust, and care for one another. HD SOUTH is the vibrant cornerstone of an intergenerational community that celebrates the past, inspires unity of our community, and cultivates life-enriching collaboration. Like us on Facebook to stay up to date with everything that’s happening at HD SOUTH or bookmark our Events Calendar. If you have any questions or would like to get involved, please contact us.